You are here: Home / Testimonials / Paradise! 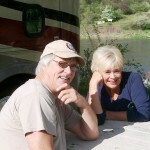 Swiftwater RV is Beautiful! We stayed here for 2 weeks in April & May last year. This is the most beautiful rv park we have ever been fortunate enough to stay at. We parked right beside the Salmon River and it is so beautiful. 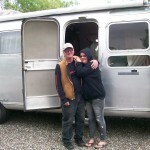 Anna, the owner is very friendly & helpful with information about things to do in the area. The park is clean with lot’s of green grass and Weeping Willow trees. We are coming back in the fall and it will probably be our “special summertime” home. WE are full time RV’rs and this park is the best.